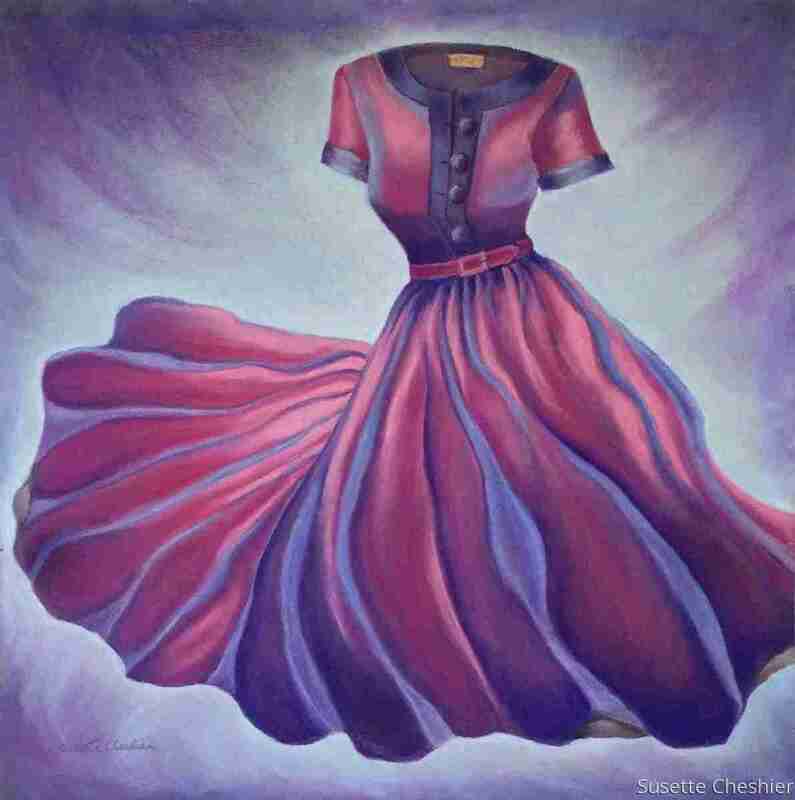 Swirling purple velvet dress from the 1940's era. Deep red violet and purple swirls with blue accents. Green background highlights the red violet dress. 7.25" x 7"9.25" x 9"11.25" x 11"13.5" x 13"16.25" x 15.75"